Clean, comfortable, quiet, good location, smaller pool then some hotels, but was cleaned often and had nice patio tables by the pool, wish they had queen beds instead of full size. Over all, was great. Quiet, convenient location, clean, updated not old. Free hot breakfast. No free shuttle to attractions, when most other hotels in area offered it and only full size beds instead of queen. After I changed rooms from the first one which smelled like an ashtray, everything was perfect. The breakfast buffet could use a little more selection. Overall it was great. Great location, awesome beds, sheets and pillows, very clean. I first got a room which was a smoking room, it smelled like an ashtray. Check in was a breeze. Room was nice minus a couple of housekeeping issues. 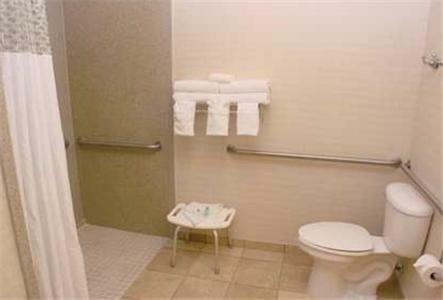 Very convenient to restaurants and sea world. Great public right down the street. Quiet hotel with friendly staff. Convenient breakfast in nice dining area. Would definitely recommend to others. Enjoyed our stay. Friendly staff and free breakfast. Found large hairball under desk in room and used tissue on bathroom floor. 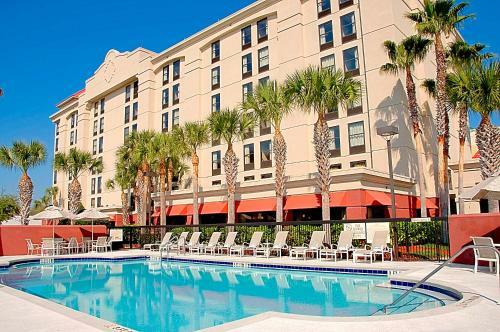 The 170-room Hampton Inn Orlando Convention Center is within walking distance of the Orange County Convention Center and provides quality affordable accommodation for the business traveler and families on vacation. Items included with the room rate at this hotel are a hot breakfast buffet, high-speed Internet access, local telephone calls, a morning newspaper and parking. There is one meeting room available for business or social functions that can accommodate 45 guests. Area landmarks and attractions include numerous golf courses, Sea World, the Wet 'n Wild water park, Universal Studios, the Islands of Adventure amusement park, Gatorland, the Florida Citrus Bowl, Amway Arena, home of the Orlando Magic basketball team and shopping at the nearby Pointe Orlando Mall, Fashion Square Mall and the Florida Mall. 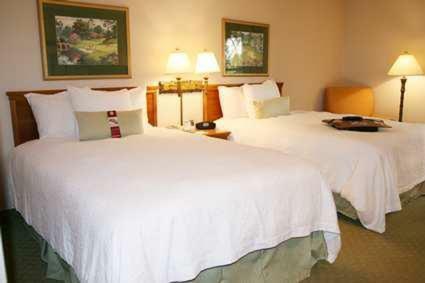 Rooms come with a choice of one double bed, two double beds or one king size bed. The amenities include a work desk with high-speed Internet access, 25-inch television with cable movie and news channels, pay-per-view movies, two-line telephone with voicemail, alarm clock, tea and coffee making facilities, iron and ironing board and a hairdryer. Connecting rooms are available. This hotel has an outdoor swimming pool and a fitness room. The complimentary breakfast is the only meal served here. Restaurants nearby include a Bahama Breeze, Charlies Steakhouse, Houlihans, TGI Fridays and a Fish Bones. 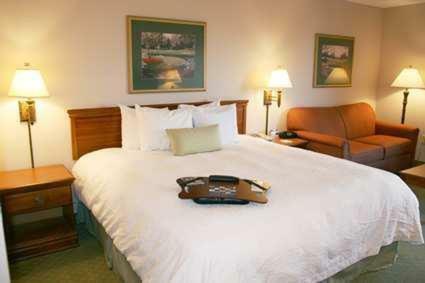 The 24-hour from desk has safe deposit boxes and information on the Orlando events and attractions. There is a business center, convenience store, ATM, coin-operated laundry, daily housekeeping and a dry cleaning service. 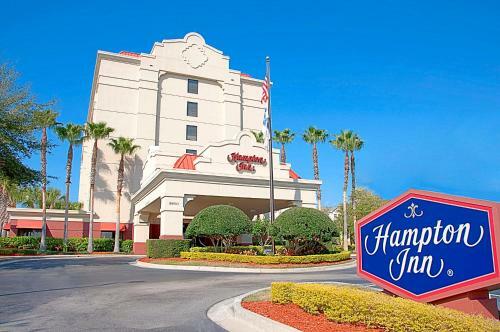 This Hampton Inn gets many good reviews about its great location, just away from the International Drive tourist strip, and reasonable rates. Business clients say it offers a good combination of facilities ideal for both work and relaxing. Families say it works well for them since it is an easy drive to Walt Disney World and within walking distance of the Pointe Orlando Mall which has shopping, dining and entertainment. Most guests say this will be their hotel of choice on future visits to Orlando and they have no problem in recommending the property to other travelers.